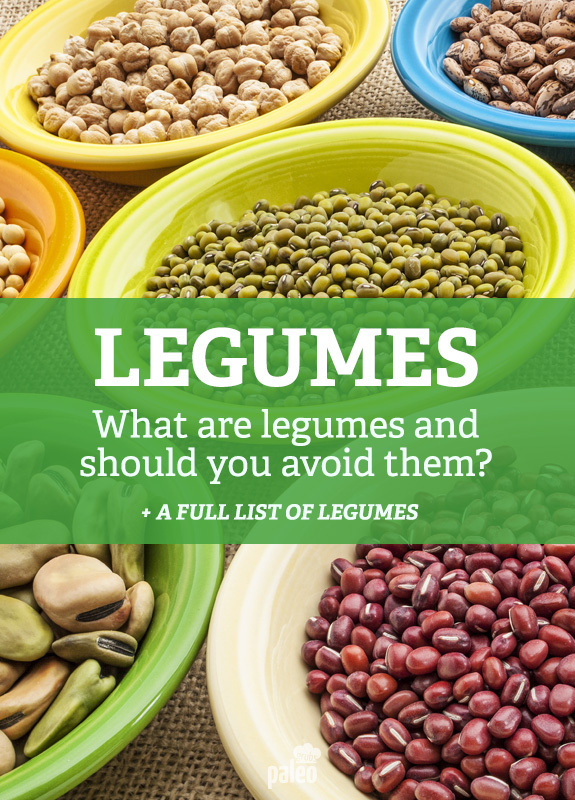 What Are Legumes & Should You Avoid Them? If you’ve been thrown off by the term legume, and even more by the debate surrounding them on the Paleo diet, we’re here to clear things up for you. What are legumes? Legume is the name of the plants, fruits, and seeds of the same family (Fabaceae), and as humans we’re mainly interested in the fruits and seeds when it comes to eating them. That’s why the most commonly available legumes you’ll find are things like beans, peas, and peanuts. Beans – All types of beans, including black, kidney, lima, mung, navy, red, pea, green, broad, white, wax, fava, English, chili, cranberry, pinto, cannellini, dwarf, runner, and any other type or style of bean. Peas – All types of peas: sugar snap, black-eyed, southern, snow, etc. 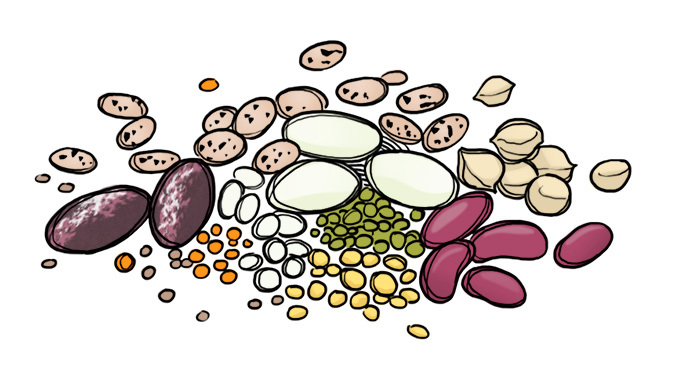 Lentils – All colors of lentils: brown, red, and green. Soybeans – All derivatives of soybeans, including tofu and tempeh. Peanuts – All forms of peanut, including peanut butter. Chickpeas – All forms of chickpeas, including hummus. Want even more legumes? 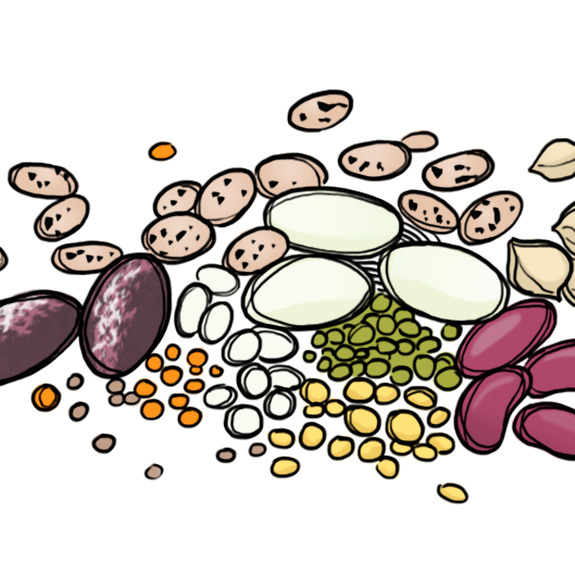 – Our full list of legumes can be found below. Legumes are one of the foods that get the ax on Paleo, which often confuses many Paleo followers because this is a category of food that gets promoted on most other diet and nutrition programs. After all, beans are high in fiber, can balance blood sugar levels, and also contain protein. Peas are a good source of fiber, and lentils are rich in minerals as well as fiber. Peanuts have healthy fats in them, and peanut butter makes many diet lists for this very reason. Chickpeas contain plenty of protein and fiber. Legumes in general seem to be a nutritious dietary option. But there’s more to the story than this. Ask the Paleo gurus why legumes shouldn’t be eaten on Paleo and you’ll often hear that it’s because of the phytates they contain. Phytates are an antioxidant, which at first is counterintuitive because antioxidants are supposed to help us, right? But they have a specific property to them, they make it harder for the body to absorb important nutrients, making them a sort of antinutrient, which leads them to be kicked out of the Paleo sphere of healthy foods. Lectins are also a concern, as they can wreak havoc on the digestive system. By removing dairy and grains from the diet, you’re basically eating vegetables, meat, and some fruit, nuts and seeds, which is a good combination to keep your digestive system happy and moving along. One of the reasons that Paleo works is that it’s an exclusionary diet, it completely gets rid of what doesn’t work in the body, and sticks to what does work. When you start adding things to it that aren’t part of the approved foods, you start veering away from Paleo and moving towards something that isn’t Paleo. If you’re just starting out on Paleo and want the best chance of success with it, you’ll want to follow what those that have gone before you have done and take their advice when it comes to foods like legumes. There may be those that say legumes are alright, but you have no idea what their concept of Paleo is, or what sort of results they’ve achieved with it. But as far as the Paleo experts go, it’s nearly unanimous that the phytate and lectin content of legumes makes them something to avoid while on Paleo. Paleo purists will definitely not want to eat legumes, and will refrain from buying them or incorporating them into their diet. 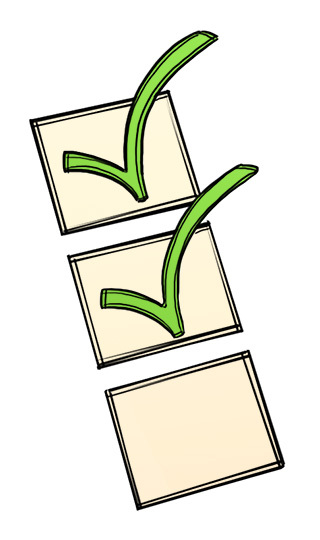 Those that are a little more lax with their restrictions can have them on occasion without much harm being done, but it still wouldn’t be recommended to seek them out or eat them on a regular basis. Couldn’t Cavemen Find and Eat Peanuts and Other Legumes Without Cultivating Them? Legumes seem to pass the caveman test. It’s not hard to imagine a group of gatherers stumbling upon a wild-growing patch of peanuts. It wouldn’t take much for them to open them up and eat them, which is why many Paleo eaters are surprised to find that peanuts can’t be included on the Paleo diet. No one really knows what was eaten during the Paleolithic era, so even the most well educated Paleo expert is making their best guess. At the end of the day it’s up to your interpretation of what a caveman would have eaten, and whether or not they would have sought out beans, chickpeas, and peanuts, or if they would have taken a pass on them. But if you’re doing Paleo for weight loss or as an athlete, you’ll want to stick to the canon as much as possible and only eat off of the approved foods list, which doesn’t contain legumes.